A treat can be just as much fun for you as it is for your pet! 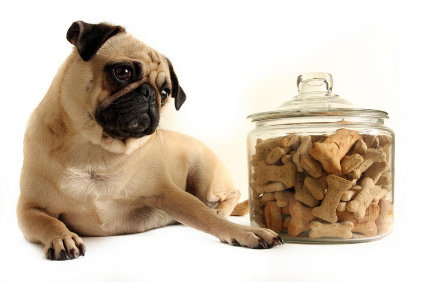 Treats can be used to reward good behavior, as incentive when training, or simply as a snack between meals. 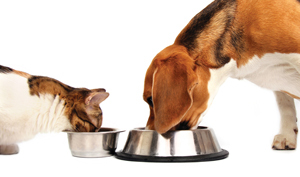 When you choose your pet's treats carefully, you can actually be boosting their health. Some treats include ingredients to help remove tartar and freshen breath, while others have special joint-support nutrients added. Cats are excellent at self-grooming. However, the cat tongue is rough and during the process quite a few loose or dead hairs tend to stick to it, which are then swallowed. Hair is not easily digestible and accumulates in the cat’s stomach or intestinal tract, forming what we know as a ‘hairball’. Formation of hairballs is natural in cats. 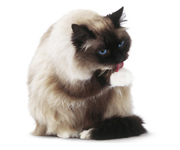 The best treatment for hairballs is the prevention of hair buildup in the first place. This can easily be accomplished with daily brushings of your cat’s fur. Less loose fur on the cat equals less fur in its stomach. Hair balls can become a serious problem if they do not pass out with stools. They can block the intestinal tract leading to loss of appetite, constipation and weight loss. If daily brushings aren’t working, contact us to discuss other options for treatment. Healthy, clean skin is your pet's first line of defense against pathogens and infection. Dogs and cats have different needs than humans. Human products should NEVER be used on your pet – they can cause dry skin, itchiness, hotspots, skin infections, and other problems. Only use specially formulated shampoos and conditioners made especially for dogs and cats. Oakwood Pet Clinic has a nice selection of hygiene products conveniently located in our office. Dental hygiene is just as important to your pet’s overall heath as things like nutrition, proper exercise and routine grooming. Help keep your pet healthy – pay attention to those pearly whites! You can help keep your pet’s teeth in good shape. Start a dental care routine as early as possible in their life so they get used to the feeling of having teeth brushed and inspected. Using a "finger brush" can be helpful to get your pet used to the process. 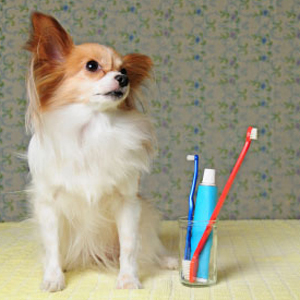 Daily brushing is recommended, but NEVER use human toothpaste – it can make your pet sick! Only use special enzymatic toothpaste made especially for dogs or cats. 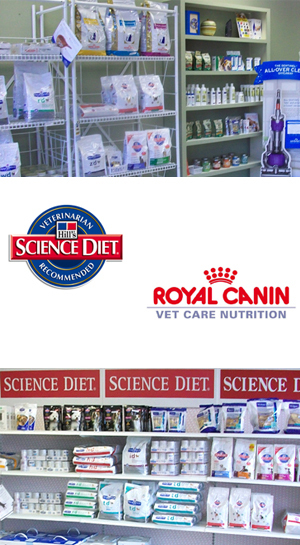 Oakwood Pet Clinic has a nice selection of Pet Dental Care products conveniently located in our office. Keeping your pets' ears clean contribute to their health and wellness by preventing irritation and infection that can be painful and potentially lead to hearing loss. Prevention of ear infections is the best "medicine!" It is recommended that pet owners examine and clean their pets' ears once weekly with a product designed specifically for cats & dogs. 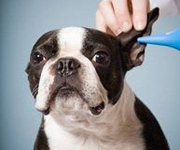 A small amount of ear wax buildup is normal for your pet. If there is a bad odor from the ears, the ear canals look abnormal, or your pet shows discomfort during routine weekly ear cleaning, see your veterinarian promptly to avoid long term painful ear problems. Oakwood Pet Clinic has a nice selection of pet ear cleaning supplies conveniently located in our office. Whether you want to comfort your pet through the natural discomforts of old age, or want to keep your athlete in tip top shape - we have something to fit your pet's needs. Keeping your pet healthy can mean fewer vet bills and a better overall quality of life. They give their best to us, so get the best for them!